Could you tell the song on this espisode 491,please? That was great, isn’t it? I hope that you like it, thanks. Please help to subbed the TW-drama Taste of Life, please help to subbed on it. Is anyone have to subbed the TW-drama Taste of Life? Please help us. Thanks for all your uploads for this week, thanks for all your help. I love to watch this TW-drama and I love to watch it. Please subbed the TW-drama Taste of Life and I want to subbed on it. Very nice TW-drama just for you. Thanks for posting the episodes of the TW-drama Taste of Life and thanks for all your uploads. Is anyone have the English subs for the TW-drama Taste of Life? Please help to subbed on it. I love this TW-drama for me, thanks so much. I love this weekday TW-drama just for you. Very nice episode for me, thanks to you. I hope that you like it, thanks very much. I always watch this weekday TW-drama Taste of Life every Monday to Friday and I love to watch it. Thanks for all your uploads for this week and thanks for all your help. I love to watch this TW-drama and I really like it. Very nice TV series for me. I really like this TW-drama just for me. It’s only just a weekday TW-drama for all for you, thanks so much. I really like this TW-drama just for me. Thanks so much. Thanks for your own kindness. Such a amazing drama series from Taiwan and I love to watch on it. Thanks for all your uploads for this week and thanks for uploading with us. Thanks for all your uploads, thanks. Very nice episode for me, thank you. Thanks for this episode and I hope that you like it, thank you. Thanks for all your episodes for this week and thanks for all of you to upload on it. I love this TW-drama for me, thank you. Uhh… Why is there so much spam comments done by the same person? Taste of Life is a great drama btw. Thanks for all your uploads for this week, thank you so much. Thanks for all your updates, thanks very much. I really like this TW-drama and i love to watch it, thanks very much. I always watch this weekday TW-drama just for you, thanks very much. 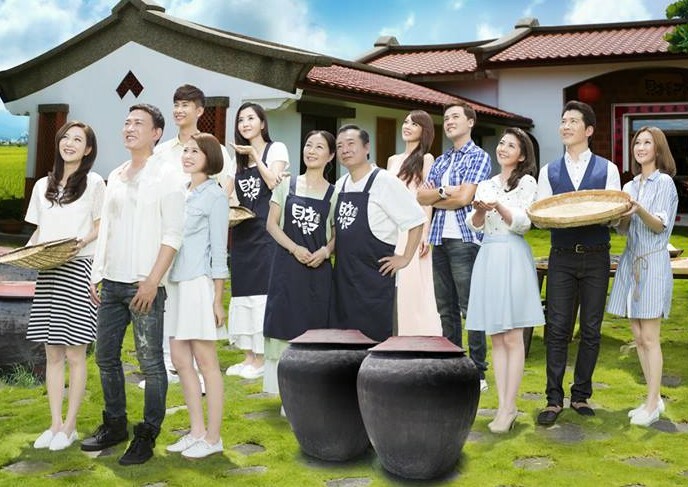 I always watch this TW-drama “Taste of Life” every Monday to Friday evenings and I always watch on it, thanks so much. Thanks for sharing the videos here, thank you. I really like this weekday TW-drama just for all of you, thanks very much. Very nice to me, thanks so much. Thanks for sharing your videos, thanks so much. Thanks for your support, thanks very much. I really enjoy this TW-drama Taste of Life and I hope that they watch on it, thanks very much. Thanks sharing your videos here, thanks. Thanks for sharing with us, thanks. Thanks for this episode and I hope that they watch on it, thanks very much. Thanks for hsairng with us, thanks to you. Thanks for helping me, thanks to you. The ep from 311 onwards my mom can’t watch. Cause it said is not available in my country. Pls help. Anyone can help? Where can I download this taste of life drama episode from 425 onwards.